I want to extend a hearty thank you to all who attended our first Scout Sunday Pancake Brunch. We had larger than expected turn out for our first run at this and the event was a huge success. The members of our chartering organization, Saints United Lutheran Church, were nothing but complimentary. They loved seeing the scouts working tirelessly to ensure everyone had their fill and enjoyed interacting with the leaders to learn about the programs we run. With the church feeling it was a huge success they not only asked us to do this every year but they suggested we also consider running a spaghetti dinner and summer BBQ; both of which can be used as fundraisers to benefit our scouts. Once again I’d like to extend a hearty thank you to the following for making this a huge success. Venturers: Thank you to those who attended the Scout Sunday service and to those who volunteered to work the brunch afterwords. Your attendance at the service made a great showing to our chartered organization and allowed them to showcase us to other members of the congregation. Additionally the Venturers did an outstanding job managing the kitchen and handling the finances of the event. Great job and excellent teamwork to all of you!!! Crew Parents: We’d like to thank any parents who participated by contributing to the bake sale, attending the brunch, and spreading the word of the event to family and friends making this event a success. Crew Advisors & Committee: All leaders in attendance played a crucial role in the success of this event. Each one worked the entire time and ate at the end with the Venturers. From assisting with finances, cooking, managing the floor, and managing the kitchen you were just as busy as the Venturers in making this a huge success. Saints United Lutheran Church: As our chartered organization a heartfelt thank you goes out to you for not only hosting our scouting units giving us a place to meet but for all of the support you continue to provide us. We’d also like to thank you for allowing us the opportunity to run this event and for participating in it as well. A special thank you goes out to Lynette Comitalo, the president of the church board, for working with us to coordinate the event. Karen Wonsor: Karen was the driving force behind this event. She not only managed the kitchen like a pro, but she pulled together the resources of three scouting units and managed all of the volunteers from them to run this huge success. 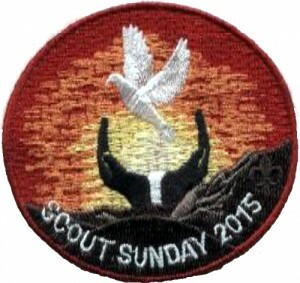 Scout Sunday is an annual event meant to mark the founding of Scouts in the United States. While the Boy Scouts of America has designated the Sunday preceding February 8th, or February 8th if it is a Sunday, as Scout Sunday; observance varies by unit and locale. On this day scouts go to their places of worship or chartering organization, if it is a religious institution, in uniform and represent scouting at the service. It is also a day in which scouts of all faiths recognize the good work done by scouts in their religious communities and through the religious communities that sponsor their unit. For many religious organizations Scouting is the community outreach program of choice for youth and Scout Sunday is a day to give back and allow the members of the institution to meet the scouts and their leaders and allow the parents of the scouts to meet the community and members of the organization that allows us to meet. This Scout Sunday, not only will our attendance and participation be a great showing for the Saints United Lutheran Church, our chartering organization — The organization has allowed us to use the opportunity as a fundraiser. We ask that all scouts, regardless of faith, participate in this event by coming out to represent your unit, in uniform, as well as helping out at the fundraiser. Additionally we ask that you spread the word to all your friends and family to come on out and attend the fundraiser (flier attached below). Breakfast includes pancakes, sausage, and coffee or juice for $5.00 per person. Pancakes are all you can eat!!! *Scouts who attend the service eat for half price. Scouts who put in a significant work effort for the fundraiser will eat for free afterwards and earn service hours! 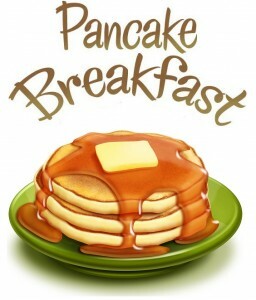 Next Sunday, March 22nd, is our Scout Sunday Pancake Brunch and Bake Sale. Scout Sunday is an annual event meant to mark the founding of Scouting in the United States. While the Boy Scouts of America has designated the Sunday preceding February 8th, or February 8th if it is a Sunday, as Scout Sunday; observance varies by unit and locale. On this day scouts go to their places of worship or chartering organization, if it is a religious institution, in uniform and represent scouting at the service. This Scout Sunday, not only will our attendance and participation be a great showing for the Saints United Lutheran Church, our chartering organization — The organization has allowed us to use the opportunity as a fundraiser. We ask that all scouts, regardless of faith, participate in this event by coming out to represent your unit, in full uniform, as well as helping out at the fundraiser. Breakfast includes pancakes, sausage, and coffee or juice for $5.00 per person. Pancakes are all you can eat!!! Scouts who attend the service will pay half price. Scout who work the entire event will eat free when the event is over.